This memorial to George Westinghouse has been a distinctive feature of Schenley Park since 1930. 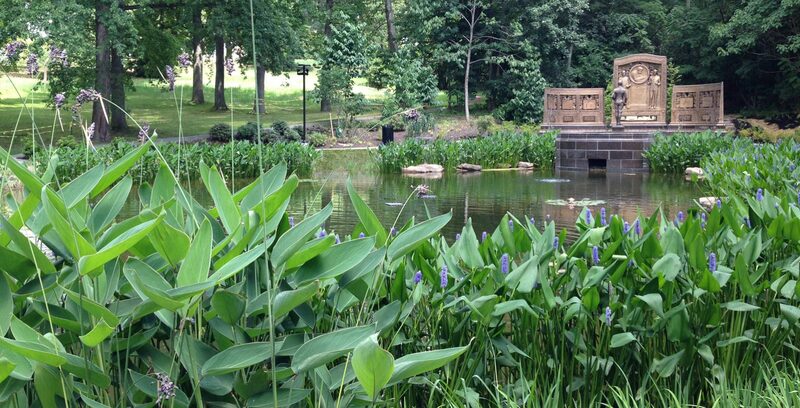 Henry Hornbostel and Eric Fisherwood designed the monument and the surrounding landscape, including the pond, trees, and granite benches. 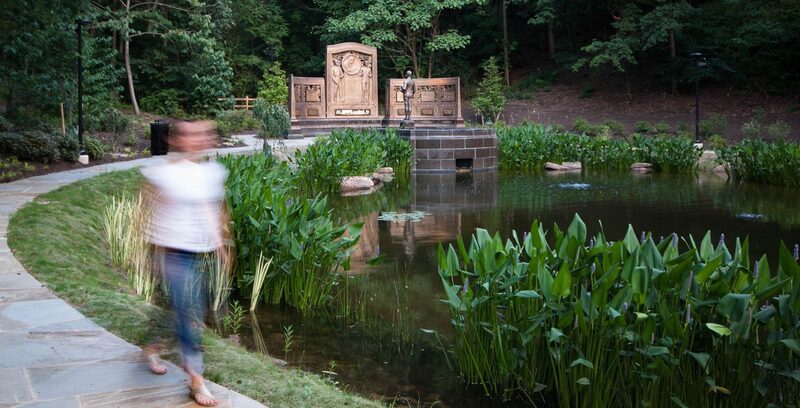 The memorial pond was designed to be filled by a natural stream, but when storms proved too damaging the stream was placed in a pipe and the pond was retrofitted to be an artificial water feature with armored edges. 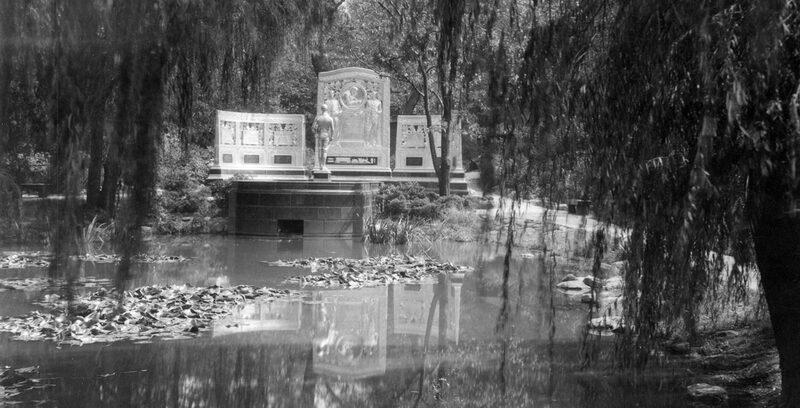 Over time the Memorial landscape had deteriorated and the pond no longer held water. 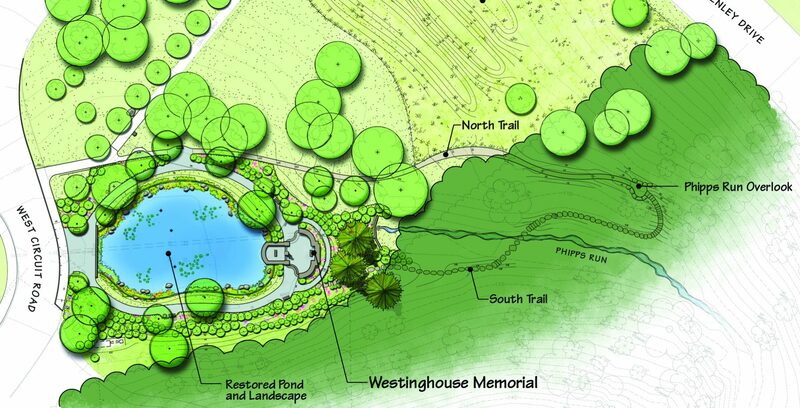 We were commissioned to develop a plan for restoring the Memorial landscape in keeping with the original design. 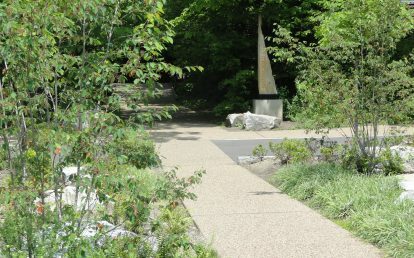 The surrounding paths were adjusted to allow an accessible approach to the Memorial Plaza and to restore a trail and overlook in the adjacent stream valley of Phipps Run. The random flagstone paving was replaced in its original pattern. The mechanical systems for the pond were replaced and reconfigured. Realizing that the pond was part of a larger drainage pattern, we looked at the urban stream valley it inhabits to try to improve water management upstream. Compacted lawn areas uphill of the pond were transformed into meadow rain gardens. The rocks armoring the pond edges have been removed so that water edge plants can once more grow along its banks as Hornbostel envisioned. 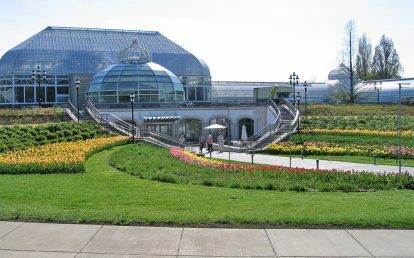 Historic landscape rehabilitation in a public park. 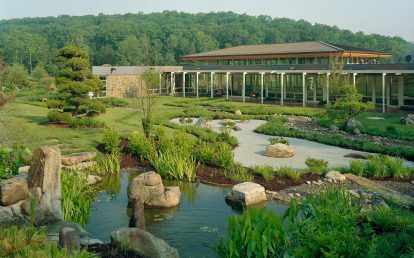 Pond with concrete liner, storm water management, water edge planting, bluestone paving, stone walls, trail and overlook, site furnishings, rain gardens, meadow. 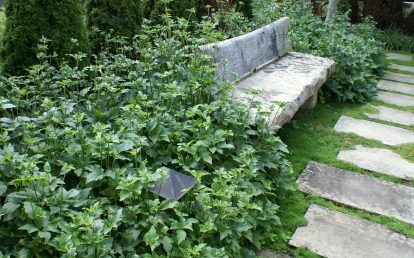 Concept design, pond design, garden design, planting design, construction documents, construction administration.